Do you want to be able to use it to its optimum capabilities and produce stunning and healthy food? You can do it with the help of this amazing new book, which provides you with stunning recipes, complete with full color photographs of each one to show you what kind of dish it is and what the completed one should look like. This book also provides you with handy units of measurement, indicated in both the metric and American systems for convenience of readers in any country. 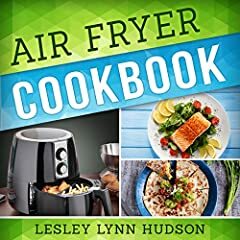 Get a copy of the great cookbook today and start making the most out of your Air Fryer.